As someone on the brink of entering her senior year of high school, there is something about a high school movie that I can finally begin to resonate with. 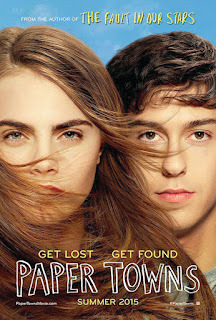 And while I do see my own life in some of the notable firsts and lasts that the characters experience throughout the movie, Paper Towns is a little bit more than the typical teen-romance you might think. After seeing past the prom-centric timeline of the film, it proves to live up to its self-aware and thematic novel of the same name, while maintaining a sense of humor that entertains audiences of all ages. Paper Towns is YA-author John Green’s second cinematic adaptation, following last summer’s tearful success, The Fault in Our Stars. TFiOS supporting actor, Nat Wolff returns to the screen this time starring as high school senior Q, short for Quentin. 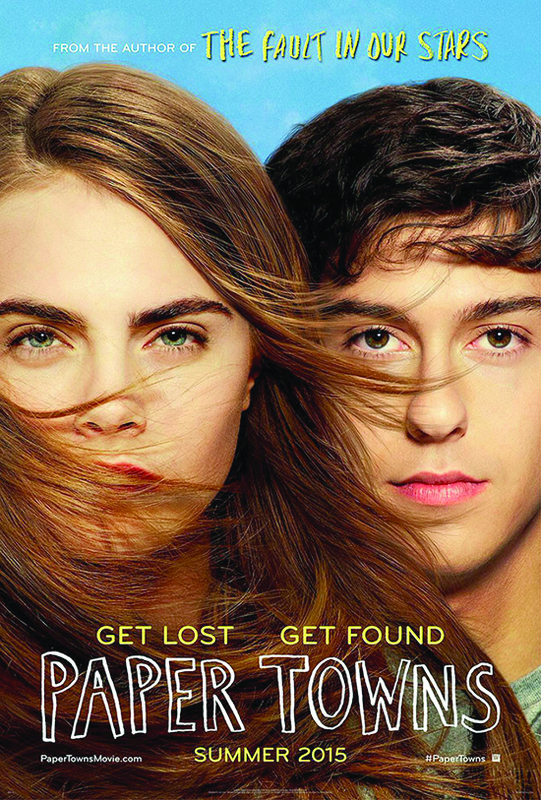 Paper Towns tells the story of Q and his childhood partner-in-crime, the enigmatic Margo Roth Speigleman. Victoria’s Secret Model-turned-actress Cara Delevigne proves many wrong with her exceptional performance playing a character who could only be described as the female Ferris Bueller. That being said, Margo isn’t actually present for much of the movie considering she disappears before the first half, presumably on another one of her wild adventures that she is infamous for. Despite living just across the street from each other, it isn’t until the end of high school that the two childhood friends reconnect, though only briefly. Margo ropes the typically reserved Q into accompanying her on a night of “righting wrongs and wronging rights” only to disappear again from his life but this time leaving cryptic clues as to where she went. Just a few weeks shy of senior prom, he makes it his mission to find her. Q and his friends use what they think they know about Margo to piece together where she could have gone, before embarking on a road trip from Orlando to New York in search of her. In their efforts to find Margo, what Q found was that the idea you may have of people isn’t always who they truly are. Much like the superficiality of the high schoolers’ home city, they learn that their assumptions about people are equally as depthless. What separates Paper Towns from other coming-of-age films is that it addresses the dangers of the manic-pixie dream girl persona that Margo embodies, and that most teen movies breed. The characters learn that while Margo may be an unconventional girl, she is no miracle, and that Q is much more than just the archetypical boy next door. All John Green fans and avid readers- who are generally an adaptations harshest critics- will be surprised to find their own preconceptions shattered. And those unfamiliar with Paper Towns shouldn’t dismiss it as “another high school movie”, because while the cliches might prevail, the genuine sincerity of the movie might just change your mind.